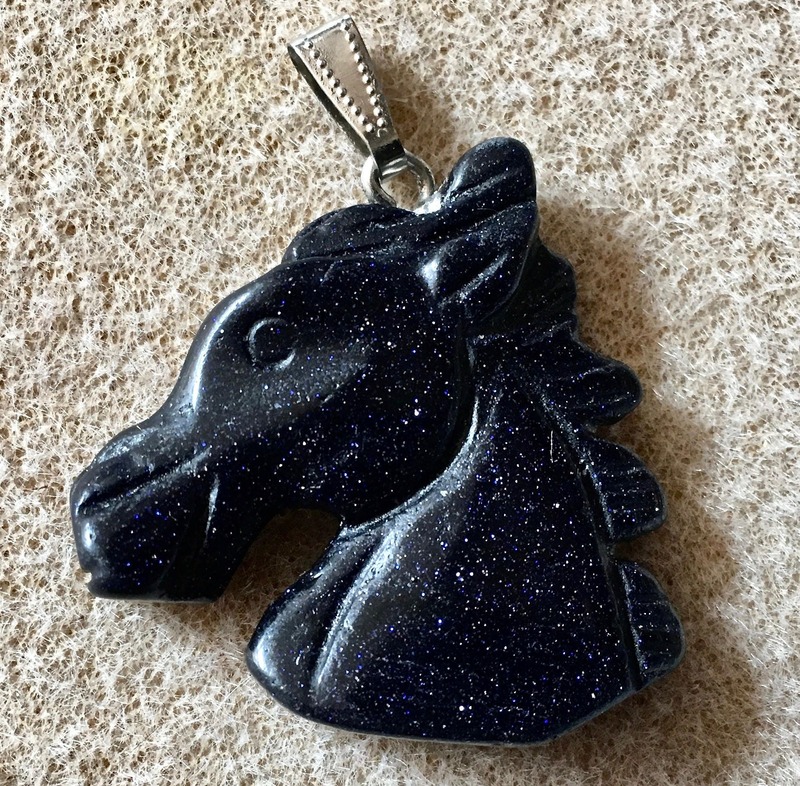 Beautiful deep dark blue goldstone horse head pendant, double sided, with bail. Lots of sparkles! Size: 35mm x 32mm. Beautiful pendant cant wait to make a necklace with it!